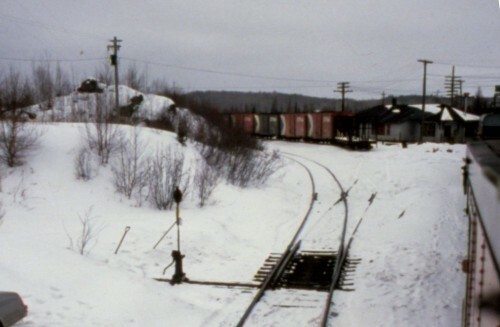 Franz siding, looking south in March 1981. On the left is the new section tool house, with the older small speeder shed visible in the distance. To the right is the old section house and in the distance, the new track crew bunkhouse. Photographer unknown, my collection. Originally named Hobon, after nearby Hobon Lake, but soon renamed after W.C. Franz, an official in the Lake Superior Company (the original parent company of Algoma Central Railway, Algoma Steel, Lake Superior Power and most of the other major industrial concerns in Sault Ste. 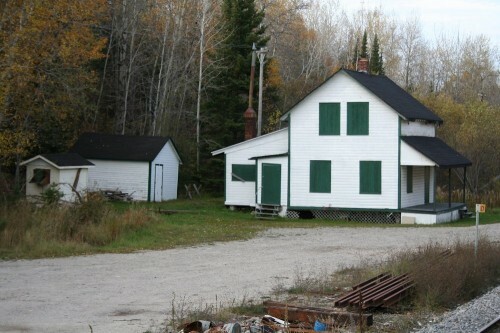 Marie at the beginning of the 20th century), Franz was established when construction of the ACR connected with the Canadian Pacific’s transcontinental main line at this remote location in January 1912. 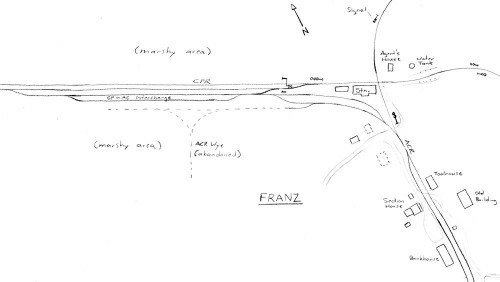 Track diagram at Franz, approximately 1970s-present. Click for larger image. 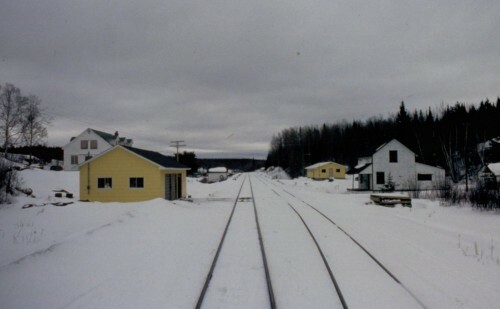 Initially a small town grew around the join Algoma Central/Canadian Pacific station at the crossing here, including several houses, general store, schoolhouse, church and even a railway hotel – when passenger service to Hearst first started in 1914 it was a 2-day trip with an overnight stay at Franz, and early ACR timetables divide the railway into three subdivisions with divisions at Frater and Franz. Franz at one point was also the location of the game warden’s office for the neighbouring Chapleau Crown Game Preserve. 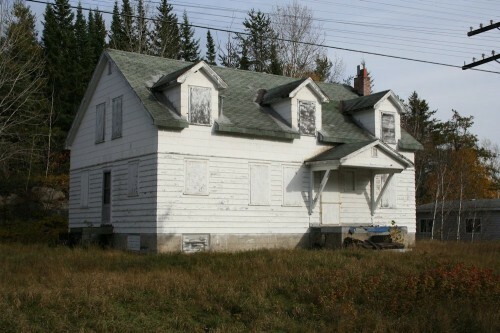 Abandoned building at Franz, September 2013. Eventually though the town dwindled and became abandoned other than accommodations for railway personnel (the agent/operator had a house provided by the CPR across the tracks from the station and the ACR section house was along the AC siding to the south of the station) and other railway related structures. 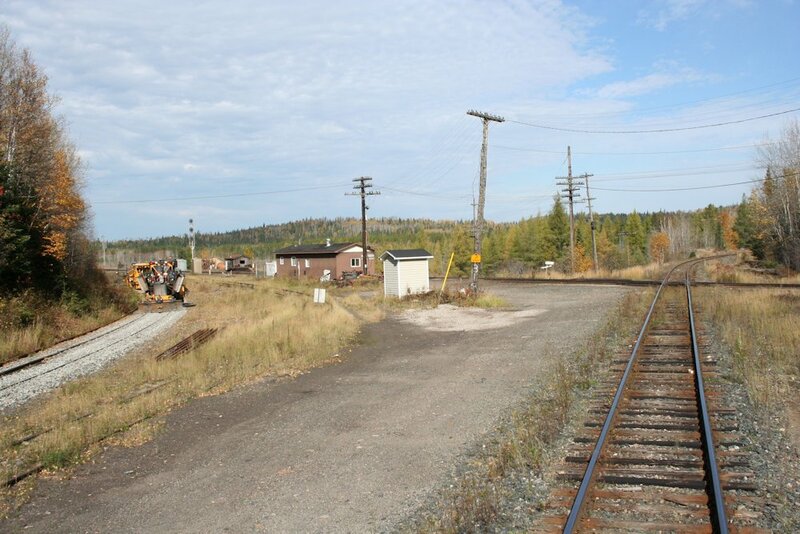 Other houses were abandoned and today there are few traces left near the tracks, although one permanent residence actually still remains today and CN track crews still use the railway bunkhouse and toolhouse here. Former section house at Franz. September 2013, my photo. 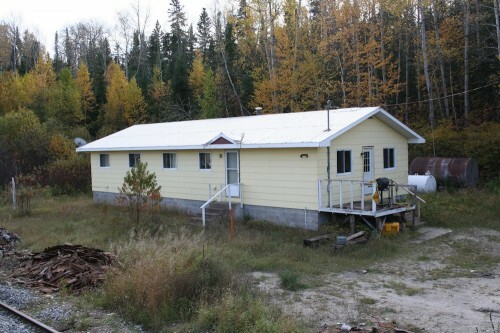 Newer MOW crew bunkhouse at Franz, September 2013. The station at Franz remained in operation as a train order office and a place where passengers could attempt to connect between Algoma Central and Canadian Pacific (or VIA Rail, after 1979) passenger trains until 1992 when the Algoma Central discontinued the use of timetable and train order style operations in favour the modern radio based Occupancy Clearance System which is used across Canada on un-signalled lines. 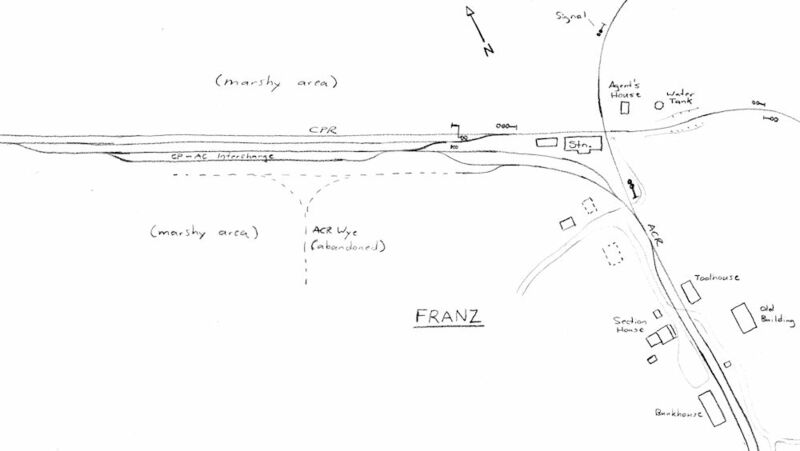 The position of Franz operator was abolished and the station closed. Connecting track to the CP interchange yard and shed track behind the joint AC-CP station at Franz in March 1981. Photographer unknown, my collection. The station at Franz actually does still exist today – just no longer in its original location. After its closure it was actually moved to Dubreuilville for use as a community centre. Connecting track, former station location and AC-CP diamond at Franz. October 1, 2013. Of course in railway operational terms, the real raison d’être of Franz was the connection with Canadian Pacific Railway. 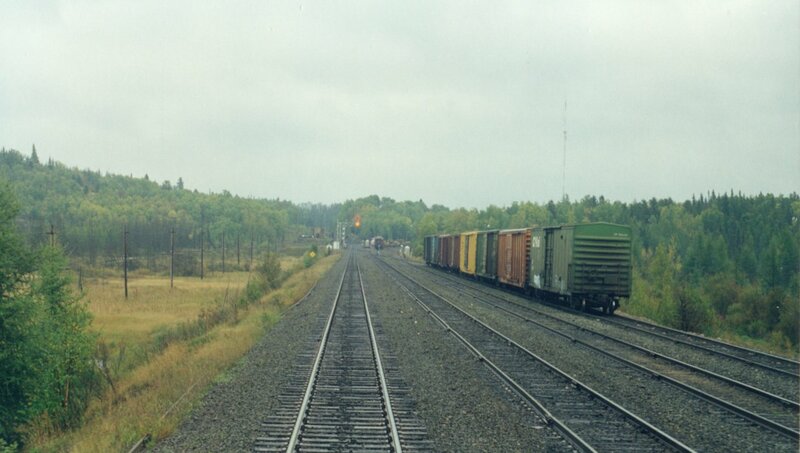 The interchange yard at Franz was and still is an important transfer point for westbound traffic that is interchanged to Canadian Pacific. Notable amongst this traffic would of course be steel traffic from Algoma Steel, woodpulp from pulp mills on the north shore of Lake Superior to the St. Marys paper mill in Sault Ste. Marie, or others in upper Michigan and Wisconsin, woodchips from Dubreuilville to Marathon (from about 1987-2007), and other miscellaneous interchange traffic. Canadian Pacific main looking west from the ACR, September 2013. 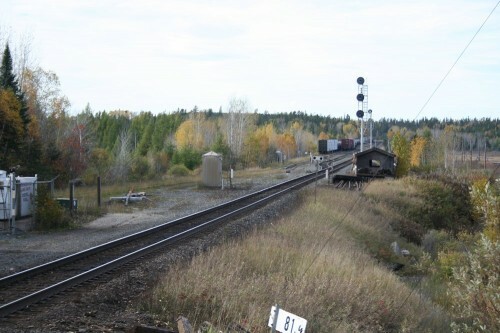 The interchange yard was laid out alongside the Canadian Pacific siding, and when these tracks are at capacity, additional interchange cars could sometimes be left in the shed track (now abandoned) or the ACR siding. 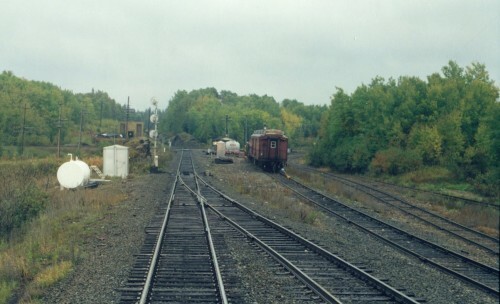 CP siding and interchange yard at Franz, taken from the Sudbury-White River RDC passenger train looking east towards AC diamond, late 1990s. WRMRC photo collection. Looking east along CP mainline towards AC diamond with shed track and connecting track at right. 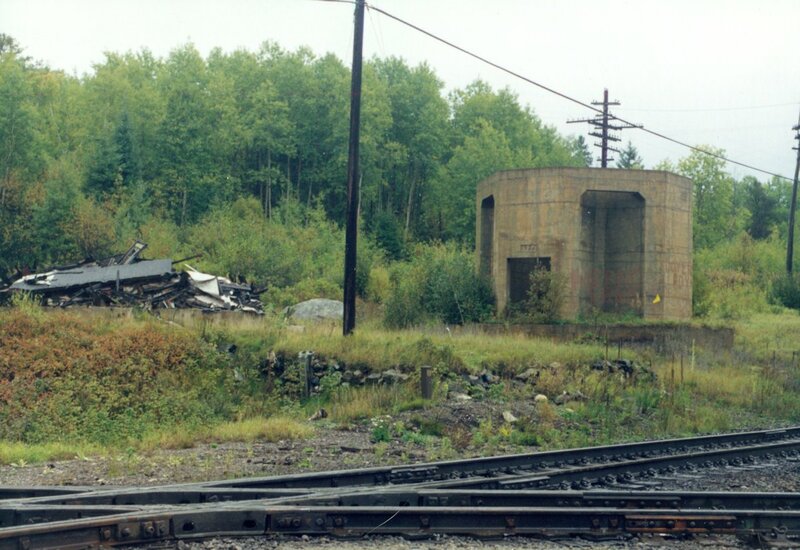 Remnants of the lead to the abandoned ACR wye are visible at extreme right. Late 1990s, WRMRC photo collection. CP-AC diamond and wreckage of the demolished former agent/operator’s home and water tower foundations in the mid to late 1990s. WRMRC photo collection.